Filed to: What time is the panic?Filed to: What time is the panic? What time is the panic? Astronomers have discovered a new asteroid—just in time to catch it as it hurtled past us at less than a tenth of the distance between us and the moon. It’s the second time that’s happened in two weeks. What have we done to anger you, space gods? 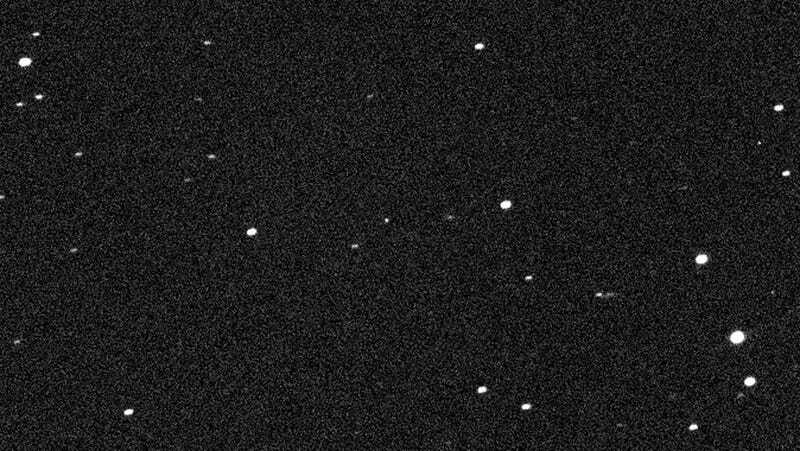 This most recent asteroid, 2016 RB1, was both slightly smaller and slightly closer than 2016 QA2, the other undiscovered asteroid that brushed by us at the end of August. Still, their specs are pretty similar. 2016 RB1 measured in at somewhere between 25-50 feet and came by us at a distance of 25,000 miles yesterday. 2016 QA2 was around 50,000 miles away and measured over 50 feet. Despite their close approaches, neither asteroid was actually on-course to hit Earth at all. Still, the fact that they are so close—and we had no idea until they were practically on our doorstep—is a little surprising. Part of it is due to the classic space problem: Space is very big and it’s easy to miss things even when they are about to fly right through our orbit. 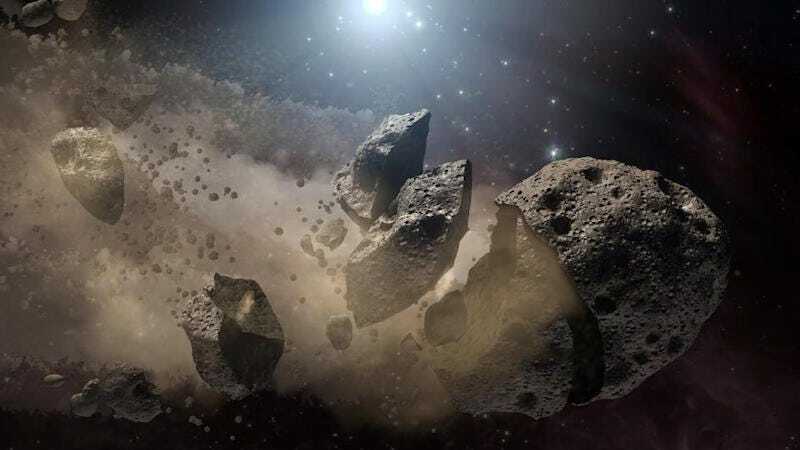 The other problem is that it gets much harder to predict what asteroids are going to do once they get closer to us, because of a curious effect of nearing the sun on the paths of asteroids. Asteroids rotate and, as they come closer to the sun, the side closest starts to heat up. This built up heat can then push the asteroid miles into a different and sometimes hard-to-predict path. Tonight, NASA is going to be launching their first mission to capture some dirt from yet another near Earth asteroid, Bennu. But they also hope the trip will give them a chance to get a better idea of how these sun-powered pushes, called the Yarkovsky effect, work. If they’re successful, we could get a whole lot better at predicting where nearby asteroids are going to go, before they’re right next to us.